The National Women’s Hall of Fame last month announced its newest inductees. 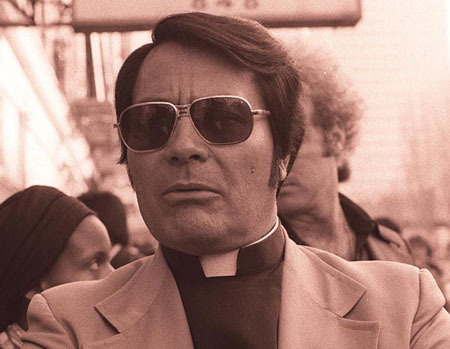 Included among them were Jane Fonda and Angela Davis, two fervent supporters of the infamous leftist cult leader and mass murderer Jim Jones. “But once Jones orchestrated the deaths of over 900 people in the Guyanese jungle, Fonda, Davis, and other sycophants of the psychopath developed a case of amnesia that proved so contagious that even those vehement in their criticism of the Vietnam-era radicals forget their boosterism of a mass murderer,” Flynn said in an April 9 column. After the National Women’s Hall of Fame inducted Fonda, the town that hosts the hall considered pulling funding, CNN reported on April 1. A resolution by Supervisor Greg Lazzaro was however defeated on April 3, according to a local news report by the Finger Lake Times. The resolution objected to Fonda’s impending induction and calling for the town to end any and all support for the Hall, financial and otherwise. The National Women’s Hall of Fame, in Seneca Falls, New York, “celebrates political women, especially ones who embrace left-wing politics,” Flynn noted.